Yee Haw.....Put on your cowboy hat and boots and let Just 4 Jumps provide you with the most realistic mechanical bull rental in Chicago. 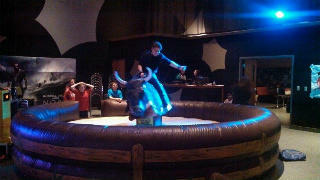 The mechanical bull is a very safe attraction in which our company is fully insured. 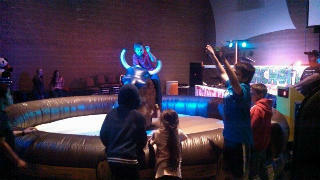 Our mechanical bull rentals in Chicago are affordable, attractive, safe and fun. 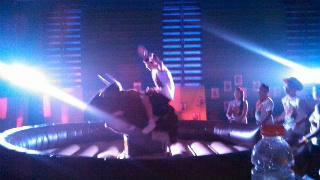 Rent your mechanical bull today, you will not be disappointed. We also offer the best Chicago Party Rentals for the price. Book one of our bounce house rentals in Chicago and guarantee a successful event. Are you ready to get bucked?